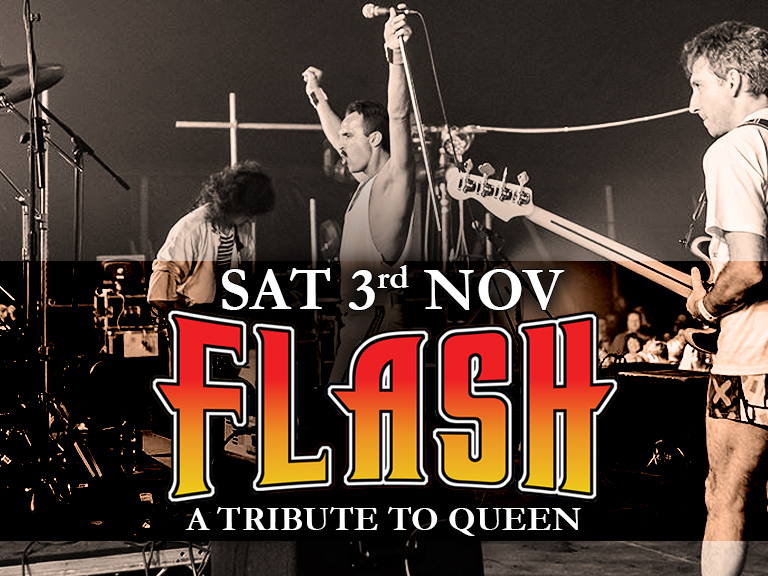 Flash : The UK’s most authentic live tribute to the music of Freddie Mercury and QUEEN. Hit after hit, anthem after anthem, as the group power out the greatest songs of QUEEN crowd participation is at a high from the start. Performed in authentic costumes and with replica equipment the show really is as close as it gets. The group are all huge QUEEN fans and have each been creatively and technically inspired through their own musical development , each member of Flash takes great satisfaction and pride in replicating the true sound and that musical magic that made QUEEN the super group that it is today. QUEEN have amassed a huge back catalogue of hits, some of the most recognised tunes in history and their popularity is as high as ever. Flash captures that live sensation of QUEEN closer than any other group.